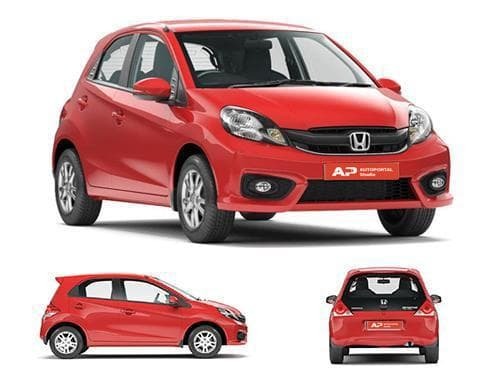 The hatchback from Honda, Brio, boasts of a relatively high ground clearance of 165 mm and can easily manage to travel through the city streets that are full of bumps and other hurdles. Moreover, a higher car deck is always preferable during the monsoon season, for it can smoothly glide over slush filled potholes and waterlogged streets. As competition, Honda Brio struts confidently against hatchbacks like Maruti Suzuki Swift, Hyundai i10, Hyundai Elite i20, Nissan Micra, and Hyundai Grand i10. However, Maruti Suzuki Swift with 170 mm of ground clearance scores ahead of Honda Brio, and Hyundai i10, Hyundai Elite i20, and Hyundai Grand i10 are at par with Honda Brio with 165 mm each. Only Nissan Micra comes a distant second with 154 mm of ground clearance. 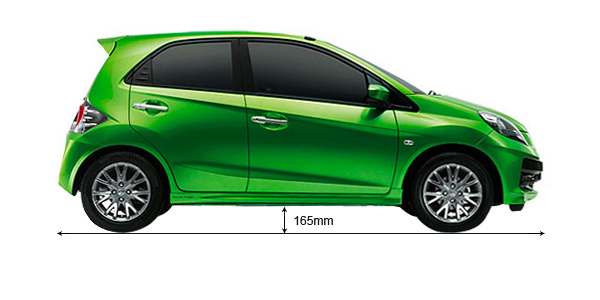 Thus, Honda Brio truly picks itself up amongst stiff competition with a ground clearance of 165 mm. Compare ground clearance of Honda Brio with its immediate competitors. Ground clearance of Honda Brio competes directly with Maruti Suzuki Swift, Hyundai i10, Hyundai Elite i20, and Nissan Micra. Put straight, any ground clearance crossing 170mm is considered to be decent, whereas, in case the ground clearance of a car is below 160mm, it's not good for Indian roads. Another thing that should be considered while making a buying decision is that cars with ground clearance of less than 160mm would be fine if the intended driving terrain doesn't have any bumps. Think of what sort of roads do you have in your locality and at your expected visits, then zero down your purchase.